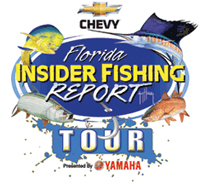 Please catch me on Sunsports emmy award winning Florida Insider Fishing Report. A South Florida native Captain Ron Hueston of Naples, Florida, has been fishing 30 years in the Everglades and 10,000 Islands. An expert at targeting trophy snook in the Everglades region at night using spin and plug rods. I guide from the Florida Everglades to Boca Grande on a consistent basis putting in the time and effort to put customers on the best bite for the time of year taking into consideration tides and weather based on my customers requests. I can accommodate the novice angler by teaching basic techniques for them to learn on their own so it is possible to return to certain areas and have better results to the expert angler looking for a trophy. As a Professional Angler I have had the opportunity to fish the whole coast of Florida. I support the region by fishing and guiding in local inshore tournaments such as the Backwater Series achieving 2010 team of the year and Redsnook Charity tournaments, winning several big fish awards as the guide, and Gene Doyle Charity tournament guiding his angler to a 1st place finish. Sharing information and techniques with novice fishermen to improve their skills and conveying the passion of fishing is my objective. But most of all I enjoy the sights and sounds of what the west coast of Florida waters have to offer for full enjoyment to make your time spent on the water the best it can be.